3.9 billion. That’s the number of people globally who are still without Internet access: more than one human in two. This little-known figure must act as a catalyst for an overdue debate and global mobilization. 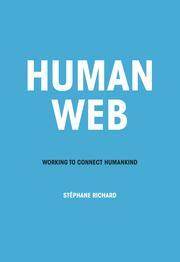 For Ste´phane Richard, the challenge of Internet access is one that the 21st Century simply cannot duck. What is at stake here is access to education, health, employment, and participation in economic and political life. How can we happily contemplate a future where half of the world’s inhabitants would find themselves on the sidelines? This book is a first-hand witness account. In Africa, in particular, popular demand for it is so great that the widening of Internet access is a given. This book is also a manifesto, a declaration of commitment aimed both at ordinary people and economic and political actors. We urgently need to give more people access to the Internet. We’ve got to empower individuals to take control of their destiny. Those who are in a position to do so must work to bring about universal access to this technological resource. Good intentions are not enough. Netizens of the world, the time for action has come. Let us build our digital future together.